Manuel Pellegrini praised Grady Diangana after the youngster's double in West Ham's 8-0 win over Macclesfield. The 20-year-old, who has been with the Hammers since 2010, made his first start for the club's senior side in the Carabao Cup third-round clash and caught the eye of the home fans, scoring their seventh and eighth goals in the rout. "I'm pleased for him because the only thing I demand from young players is when they get the opportunity to take the opportunity. He did really well," said Pellegrini. "One of the things I asked the club is to bring the U23s to the same training ground we use. Last month we started to do that so it's easy for me to see their performance. "He's a young player and he must improve on a lot of things to be a top player, but he's working hard and doing well and if he continues with the personality he showed today I think he will improve a lot." 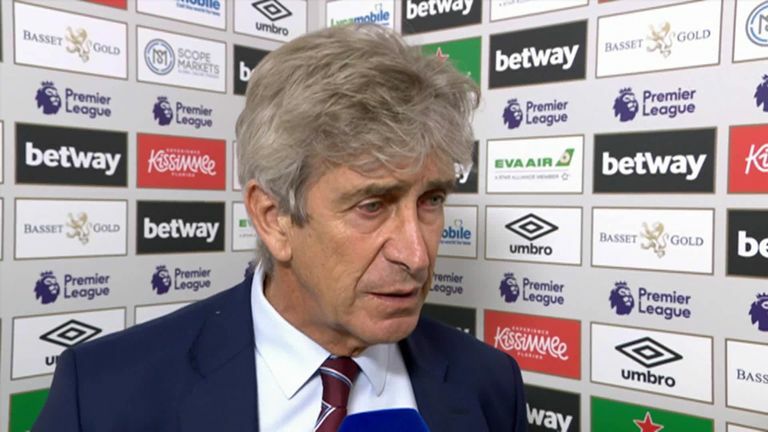 Pellegrini was also impressed with West Ham's ruthlessness and determination against their League Two opponents, continuing their run of good form after Sunday's draw with Chelsea and a 3-1 win at Everton the previous weekend. "It's never easy to find space when you have eight or nine players in front of you but we were patient," he added. "It was a good win because we must show the difference between a team in the Premier League and a team in League Two - but you don't always do it. That's why I'm happy for the players."